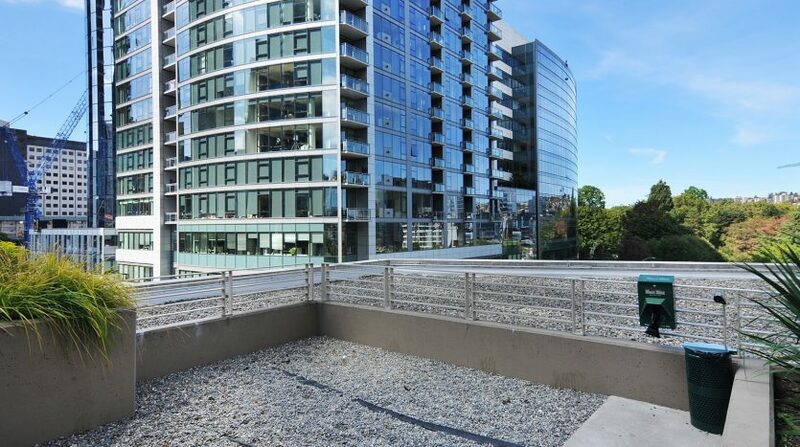 If living in the heart of the city is what you are looking for, this is the condo for you! 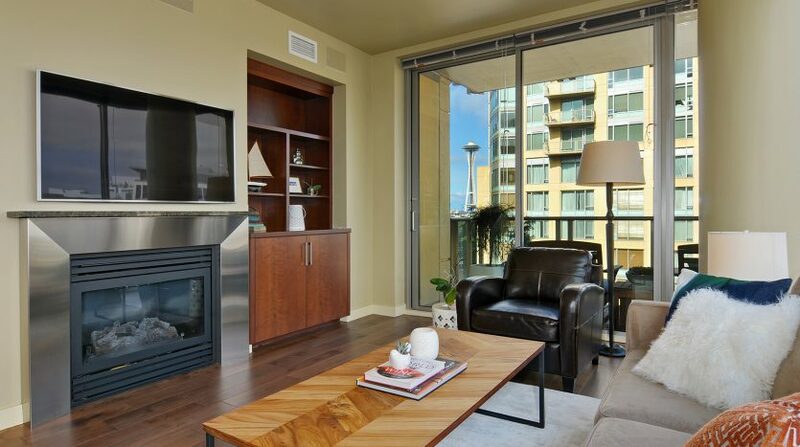 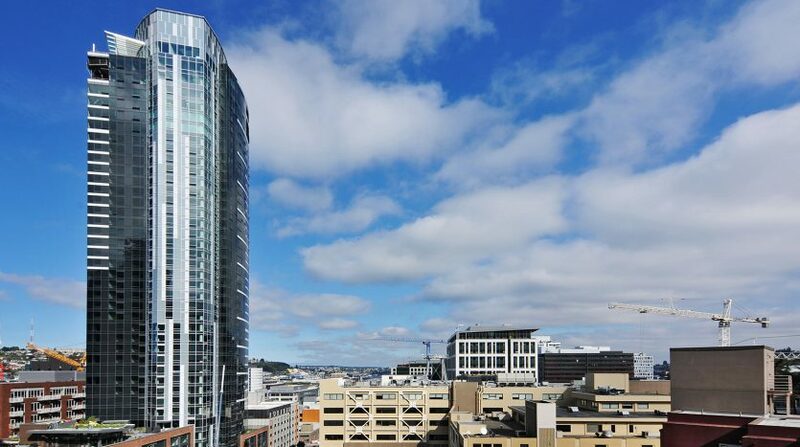 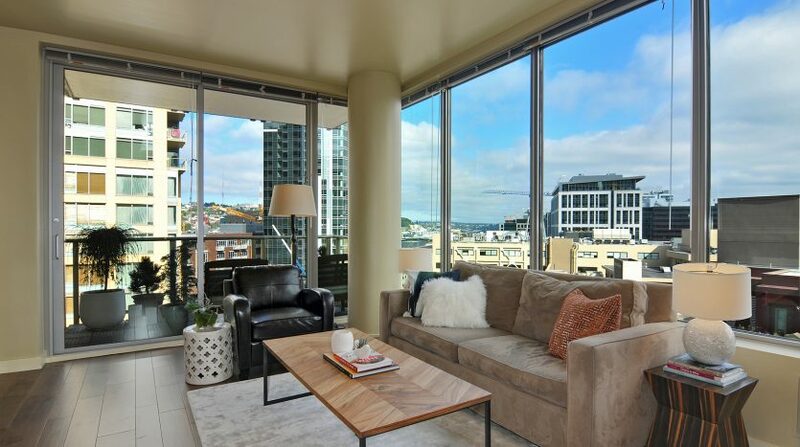 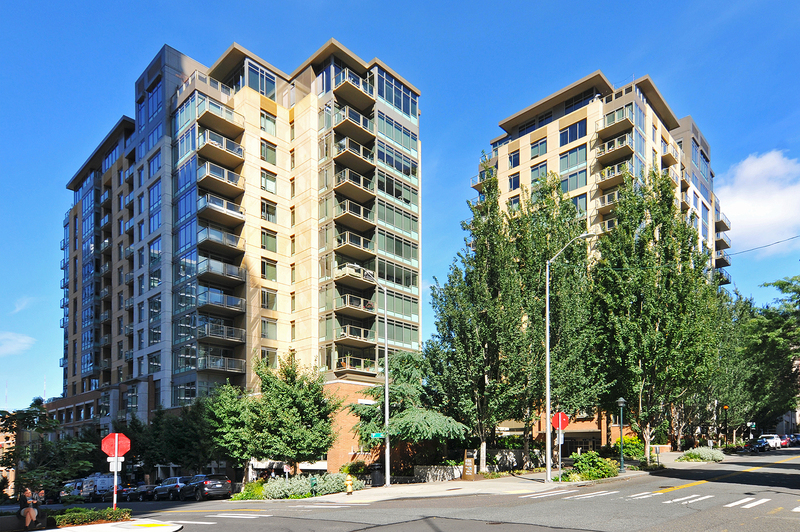 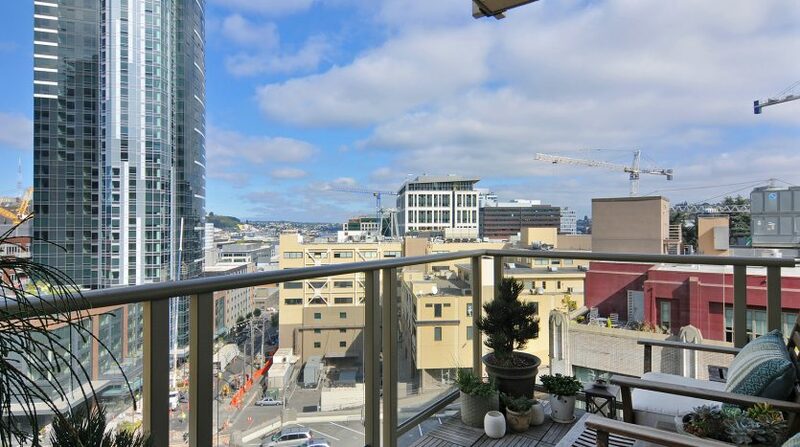 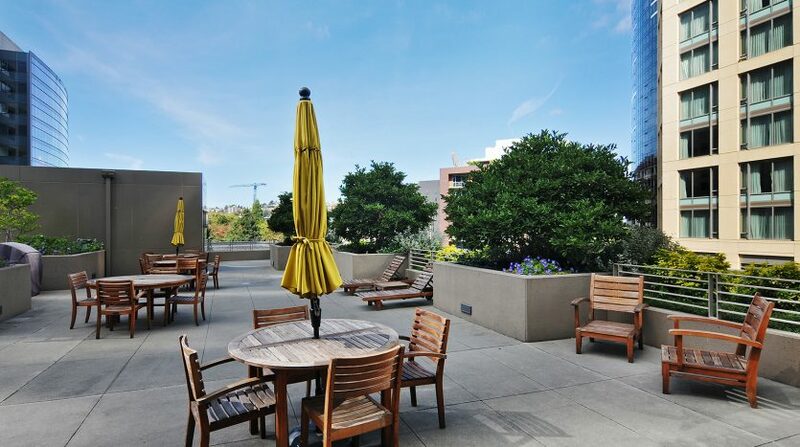 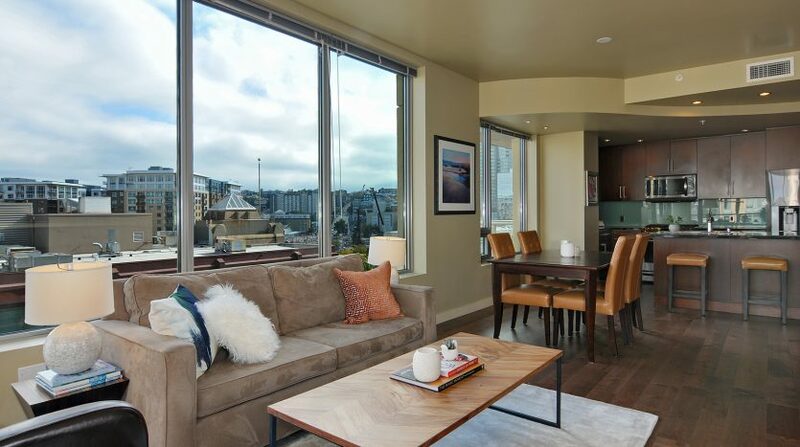 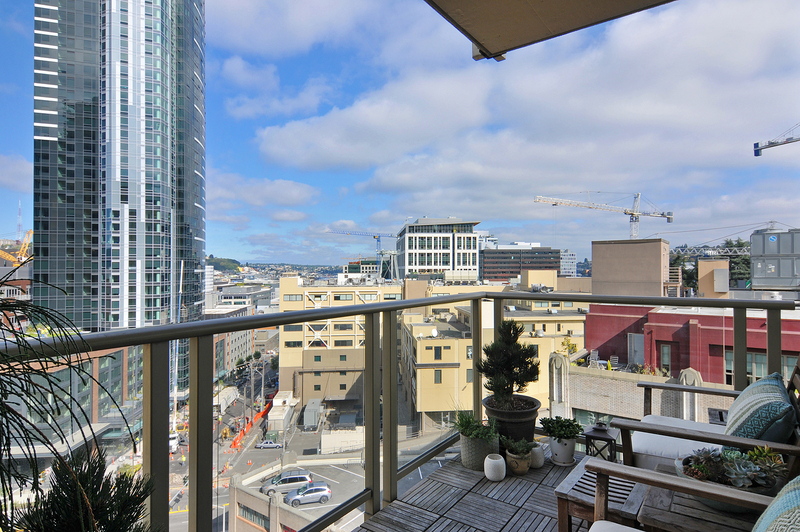 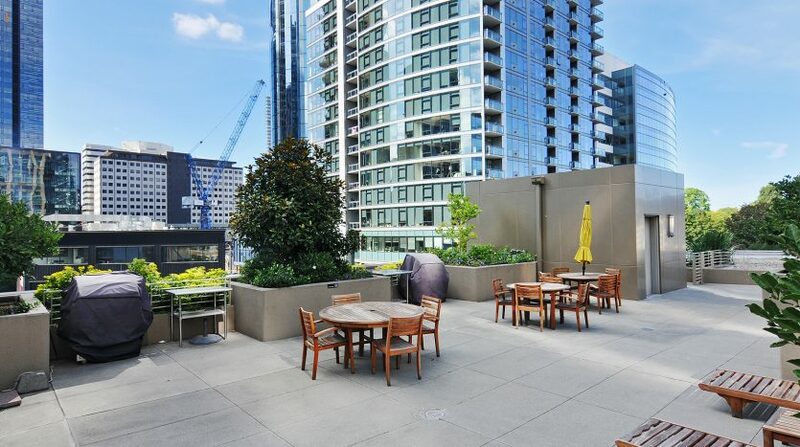 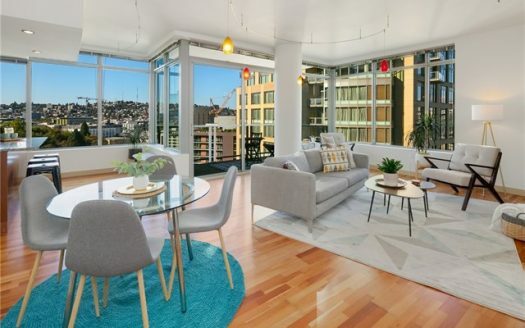 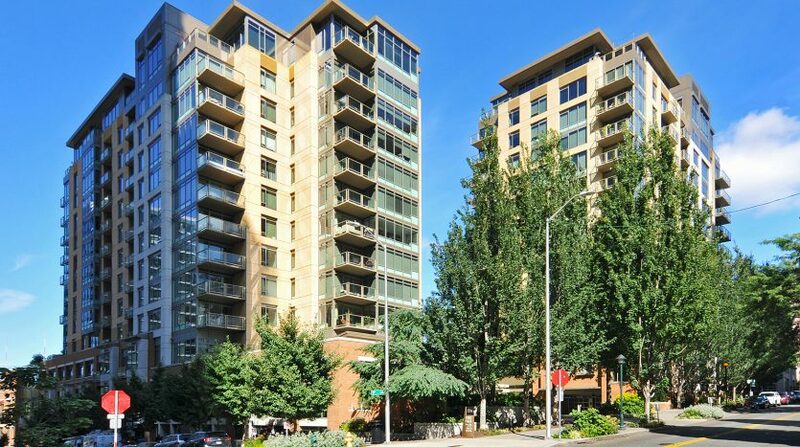 Sitting in the perfect spot between Belltown, Downtown and the booming South Lake Union neighborhood, 2200 Westlake makes a great place to call home! 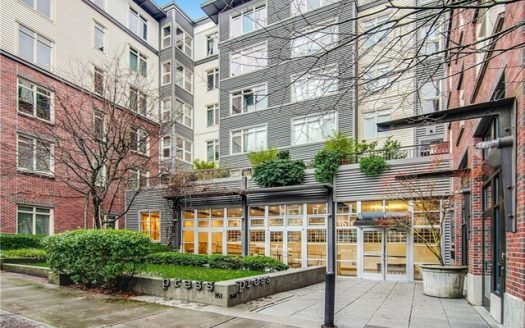 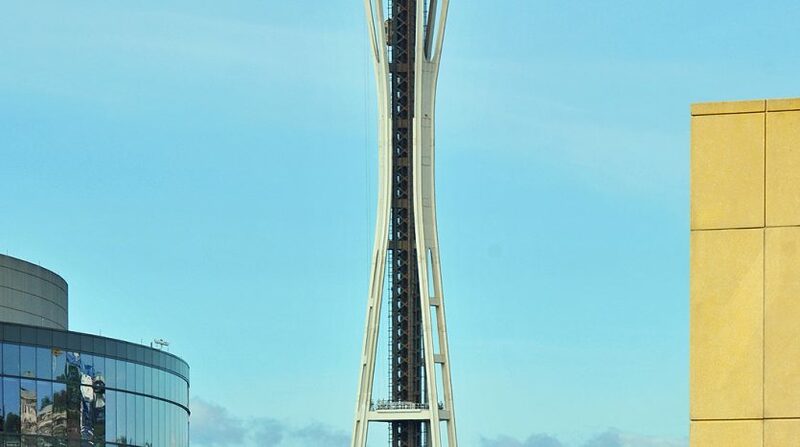 Restaurants, cafes, the shopping district, Pike Place Market, Lake Union, Whole Foods, and more are so close that you will learn to leave the car at home. 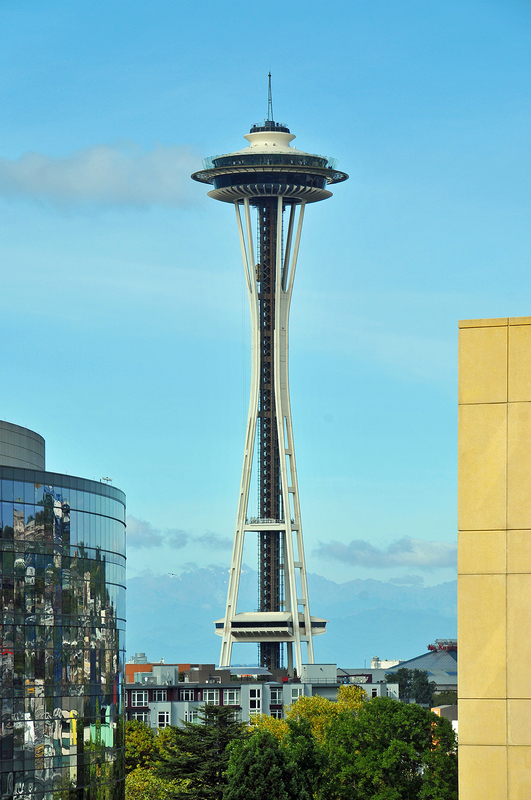 The stadiums, with their concerts and games, and the employers of Downtown are also close. 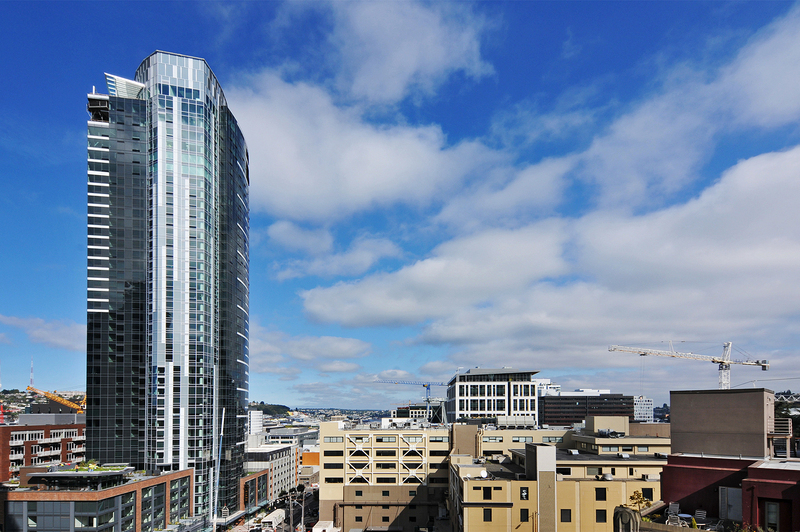 If you choose not to walk, you have the light rail, buses and the South Lake Union Street Car all within blocks to whisk you wherever you need to go. 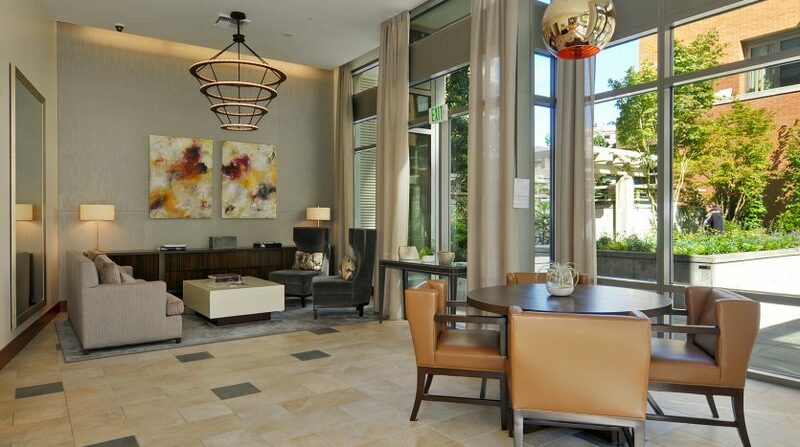 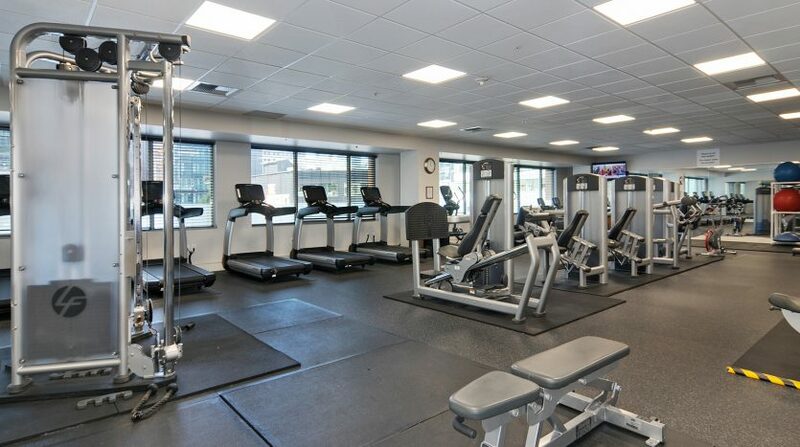 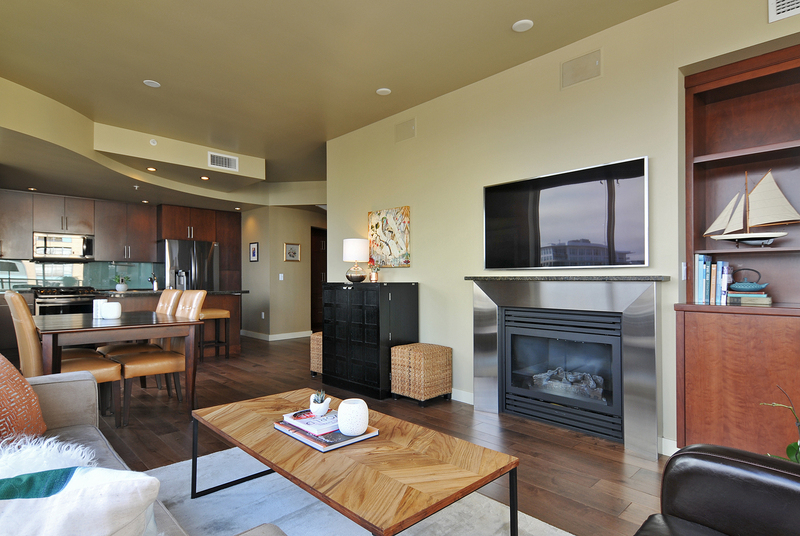 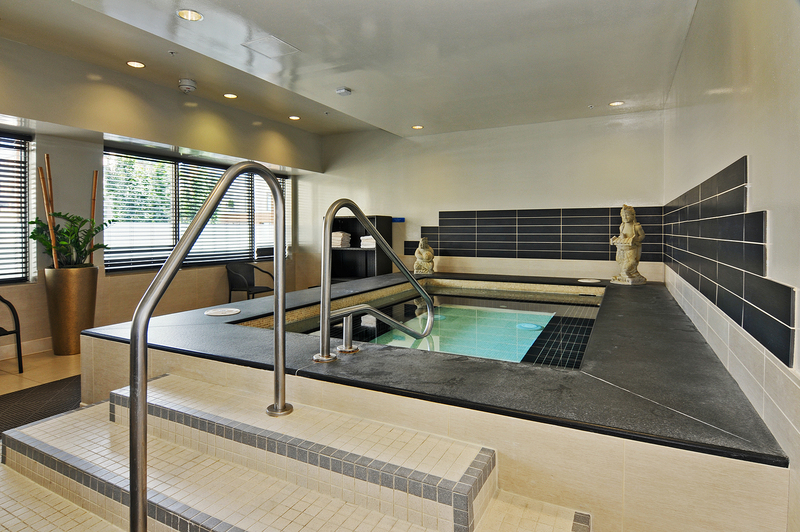 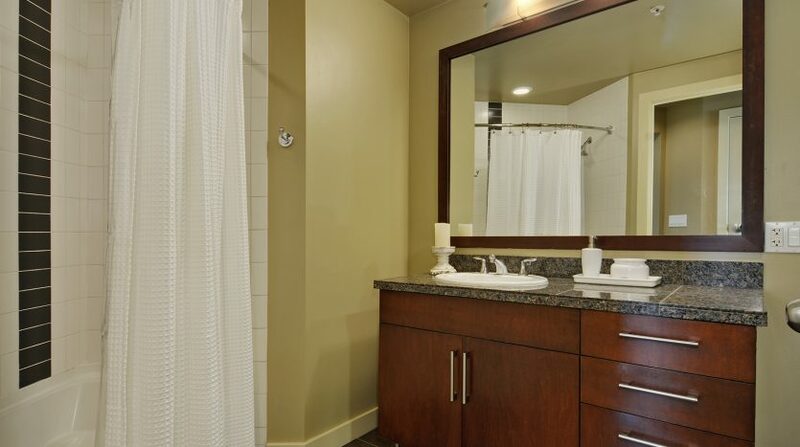 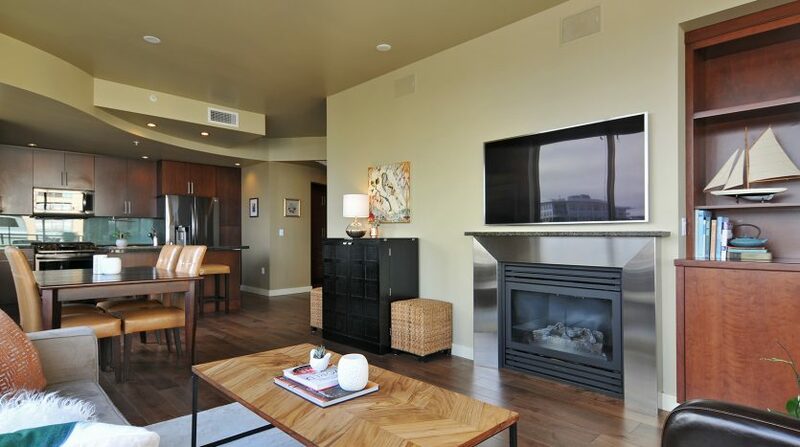 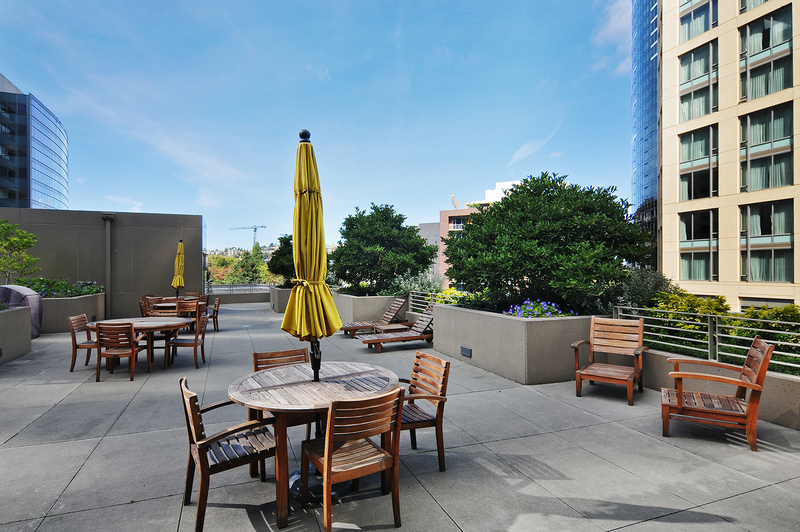 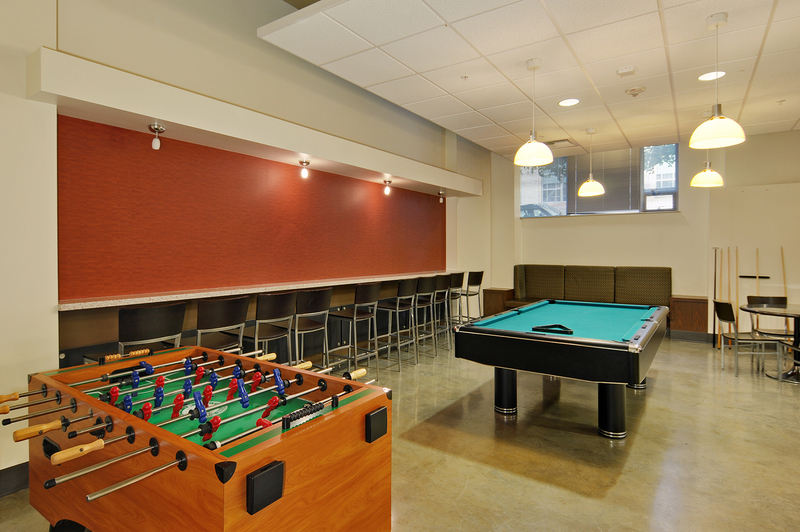 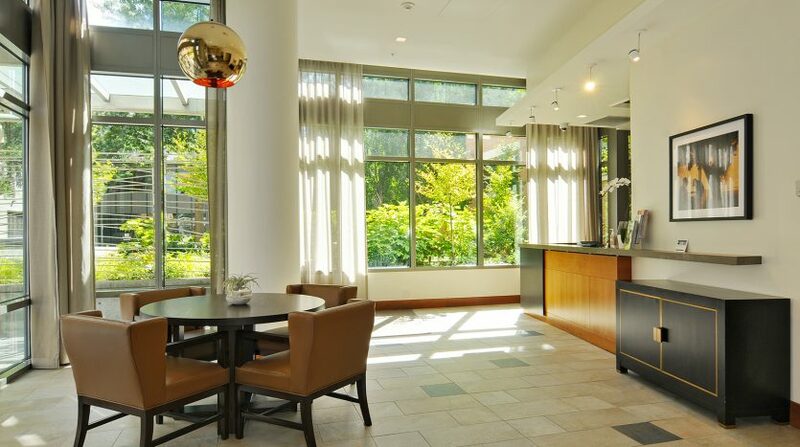 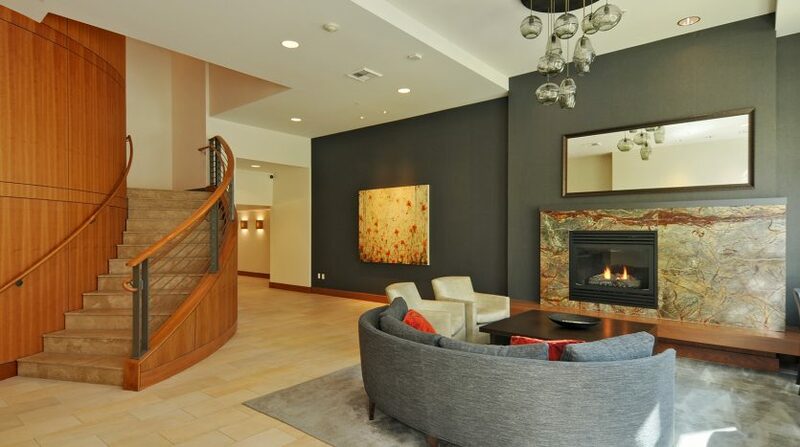 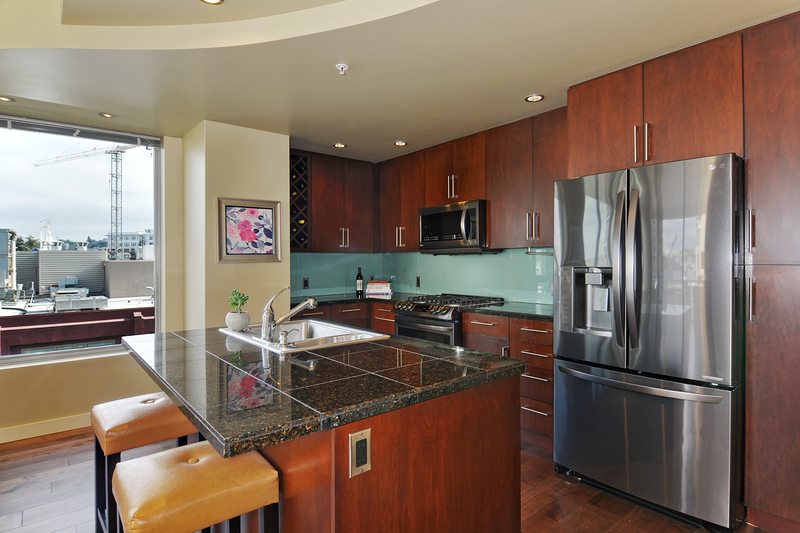 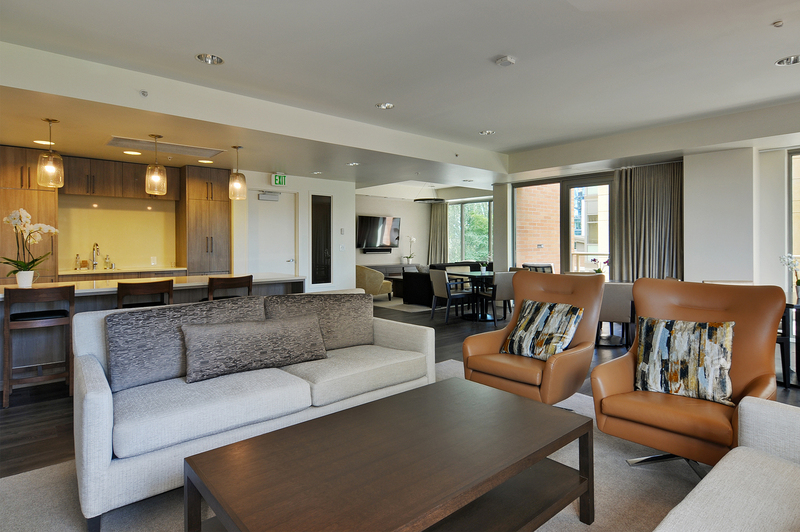 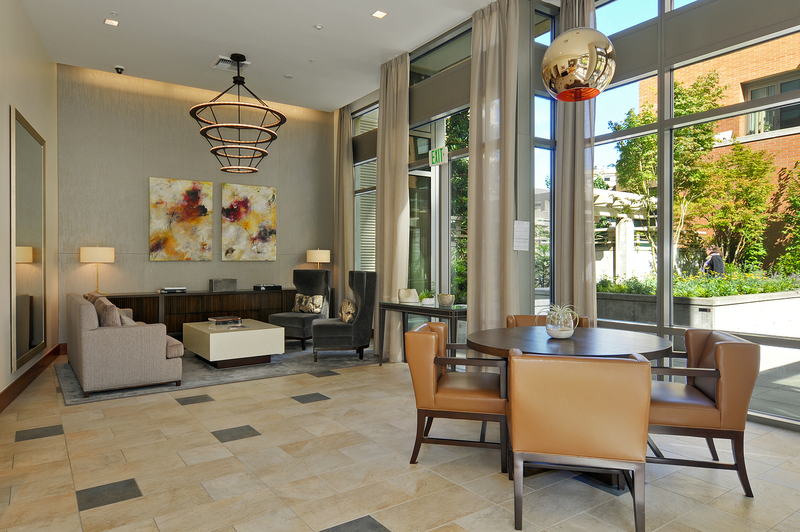 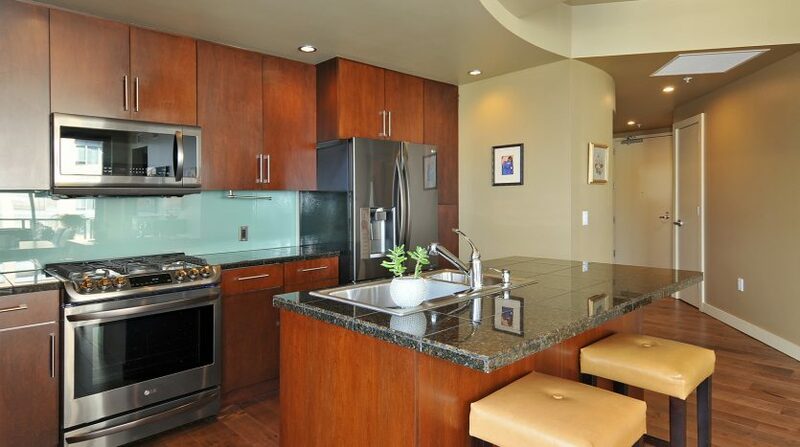 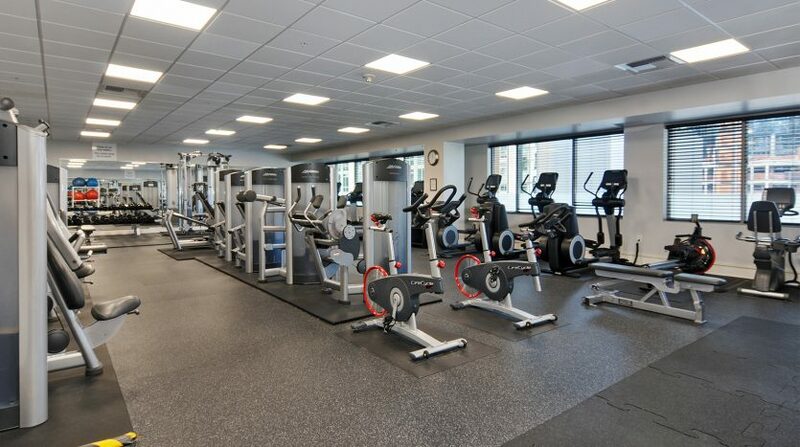 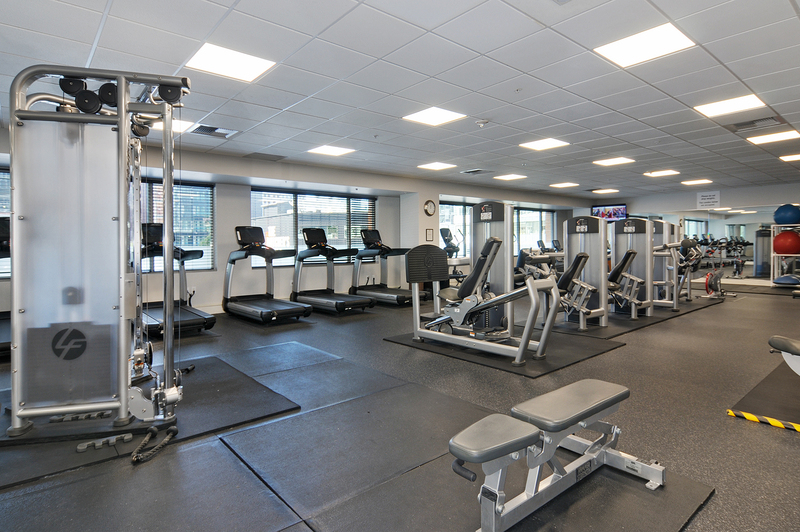 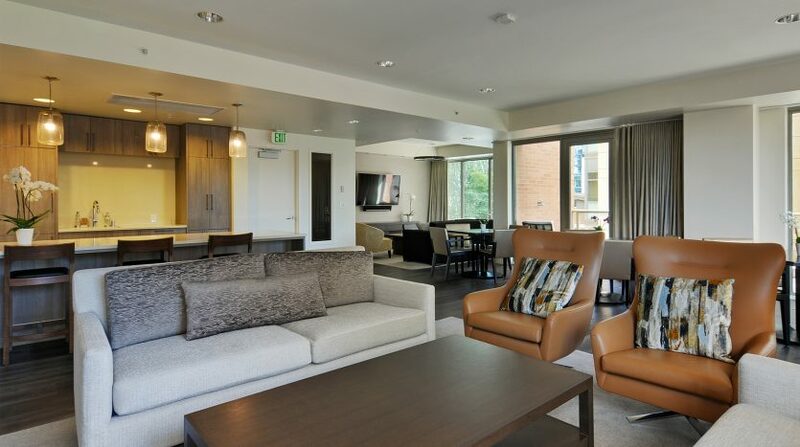 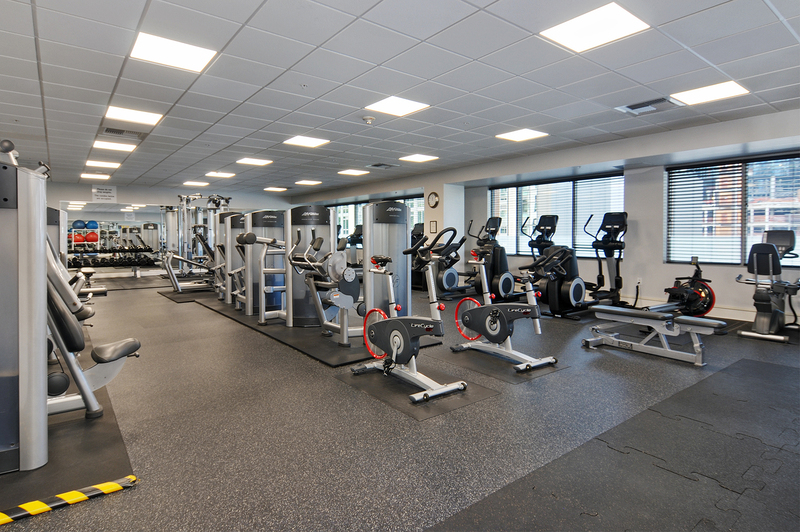 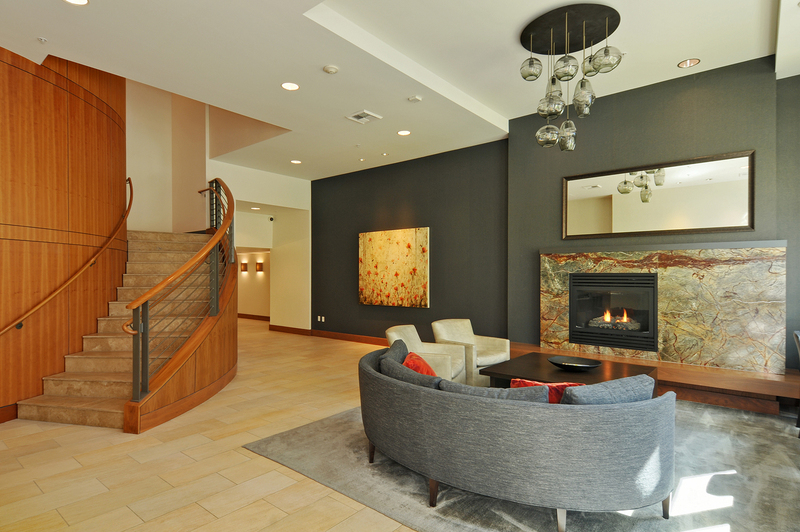 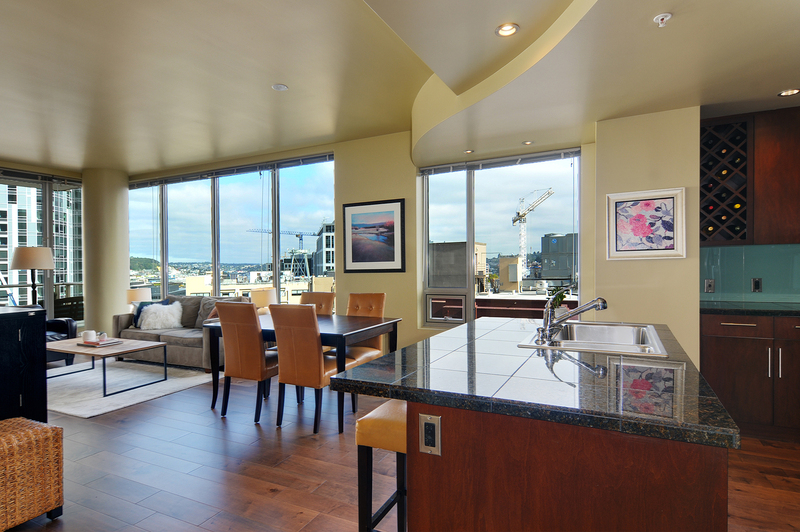 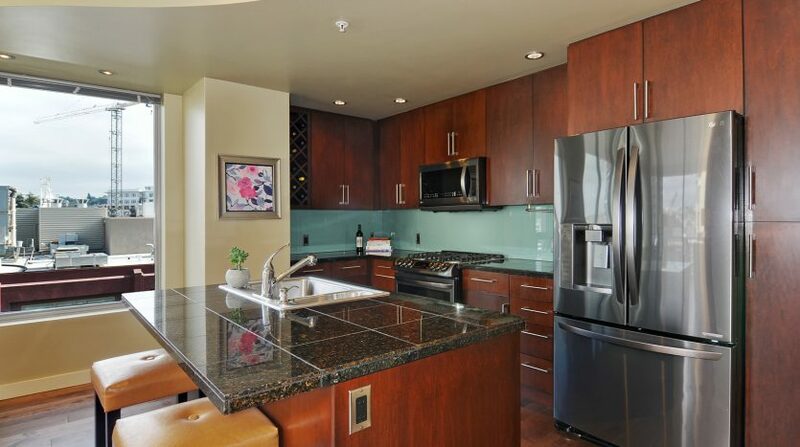 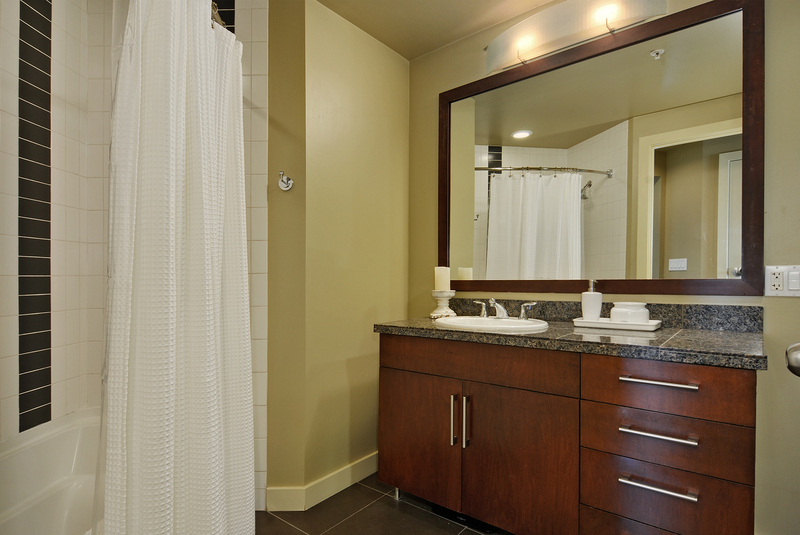 2200 Westlake boasts one of the city’s finest amenities packages. 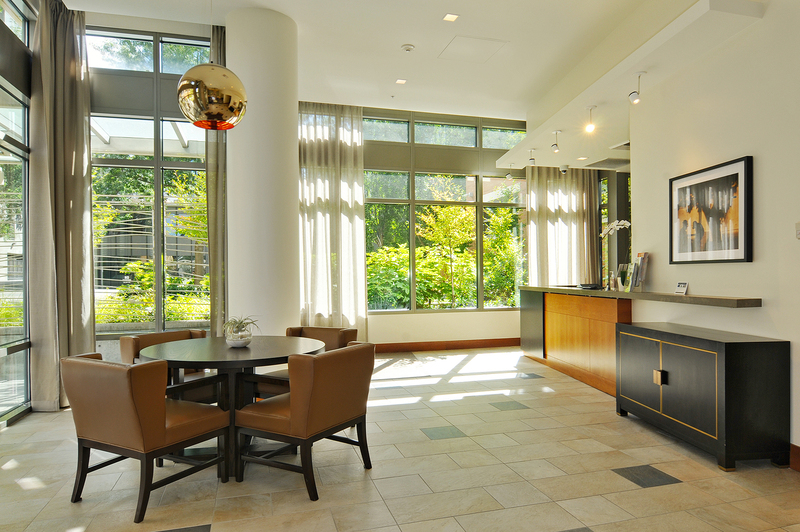 A concierge and on-site building manager are there to answer questions, collect packages, greet guests, and more. 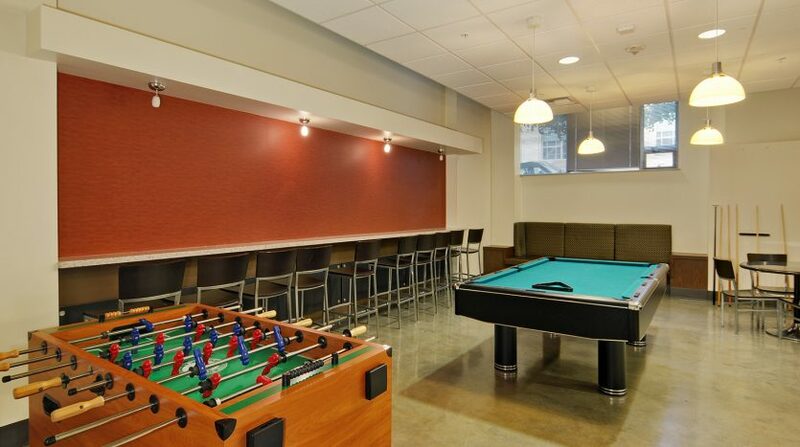 Looking to have a large gathering or party? 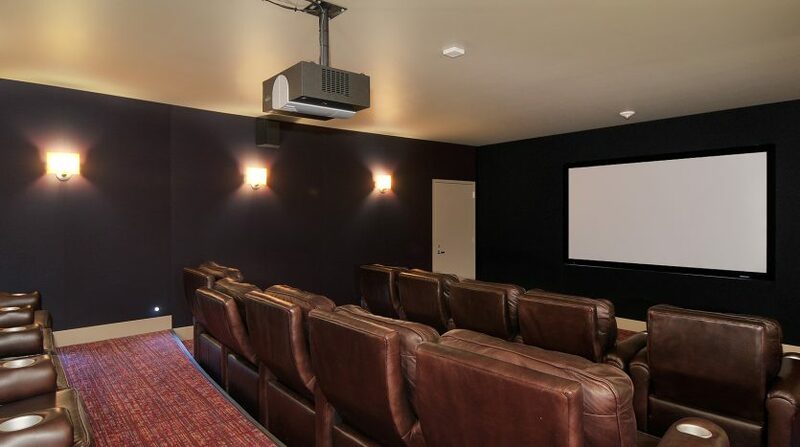 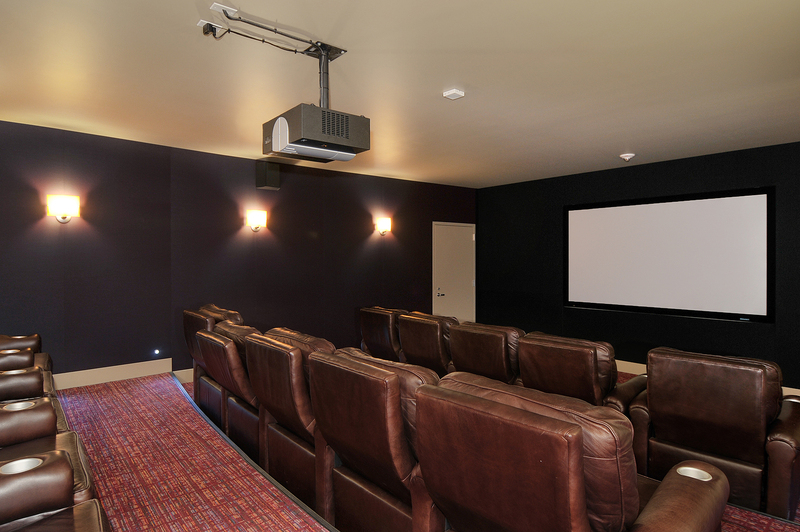 There is not only a newly remodeled party room with kitchen and patio but there is also a game room with pool table and foosball and a 15-seat theater room. 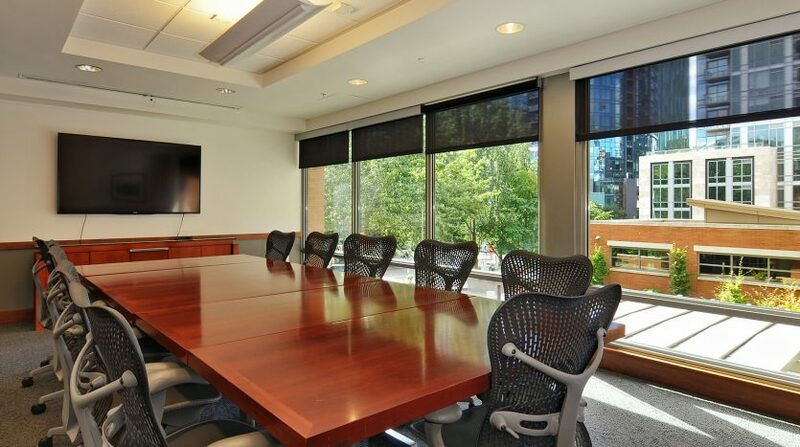 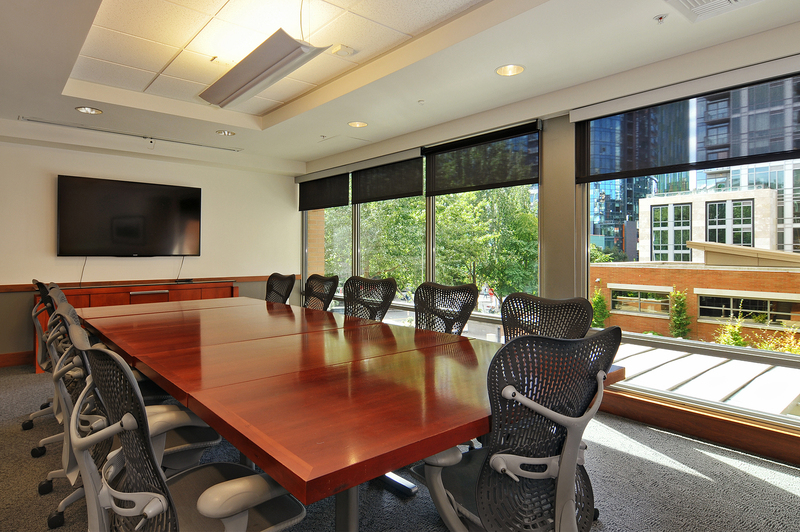 The conference room is there to accommodate any meeting needs, a guest suite for your overnight visitors, the large gym negates any need for a membership elsewhere and the hot tub and sauna are perfect for relaxing. 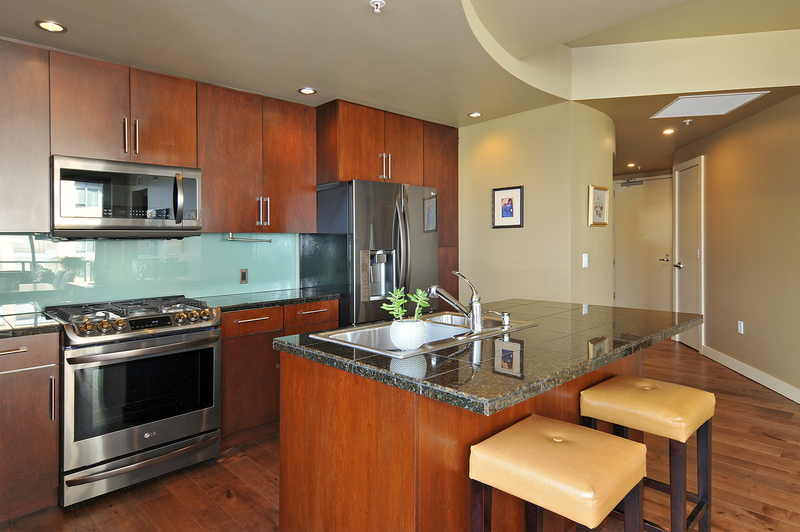 The Pan Pacific Hotel also offers its room service and cleaning services to residents if that strikes your fancy. 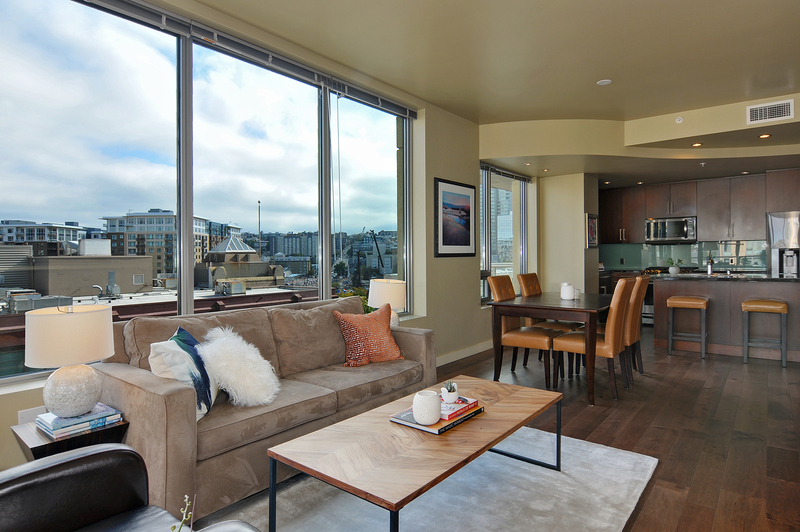 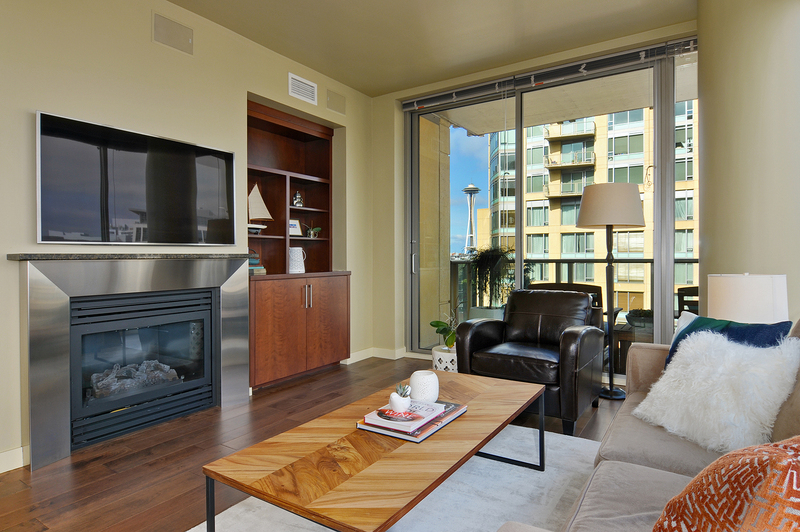 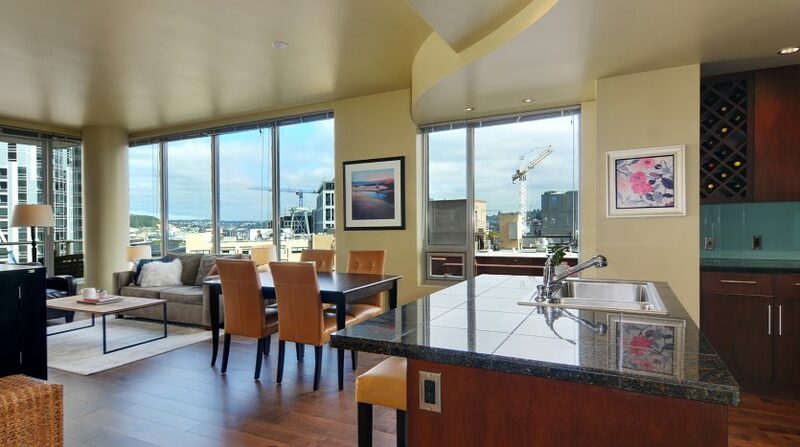 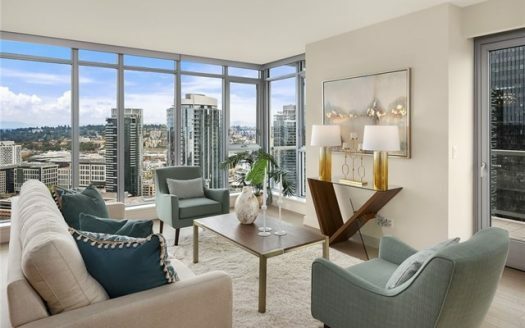 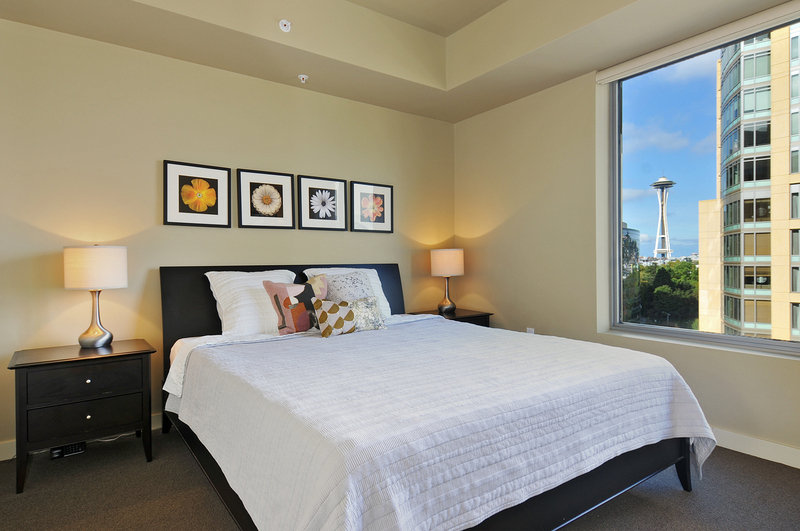 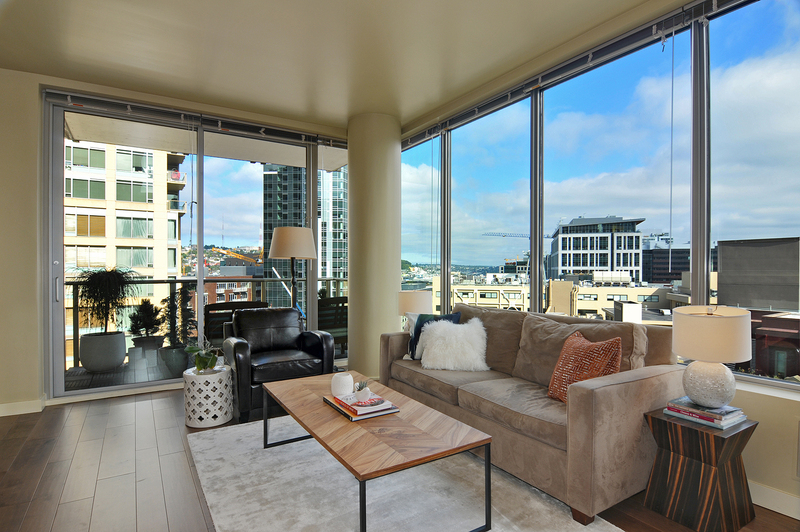 Within #1001 you will be greeted with natural light flooding in from the floor to ceiling corner windows which frame your city and Space Needle views. 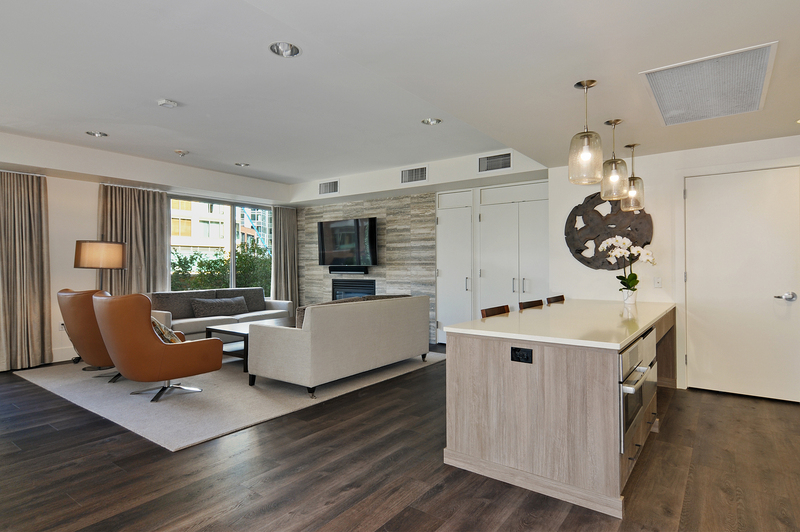 The open layout is flexible allowing you to have an extra-large living space or living and dining areas, depending on your lifestyle needs. 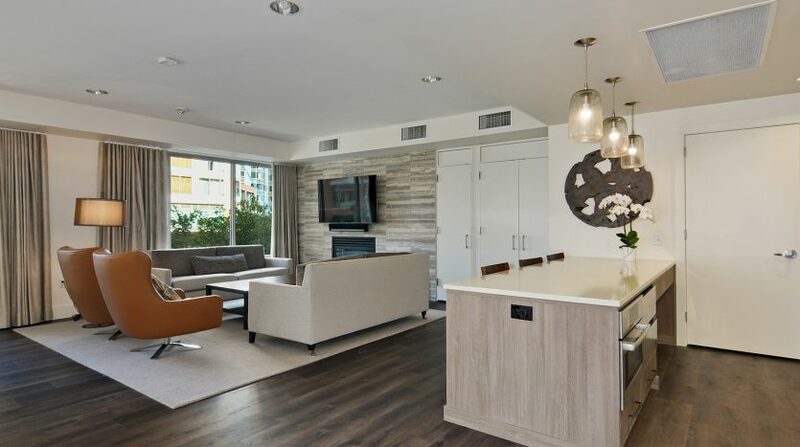 With new walnut toned wood floors throughout the living space, modern granite and new black stainless appliances in the spacious kitchen, and subway tile in the bath, you will live surrounded by hip urban contemporary finishes. 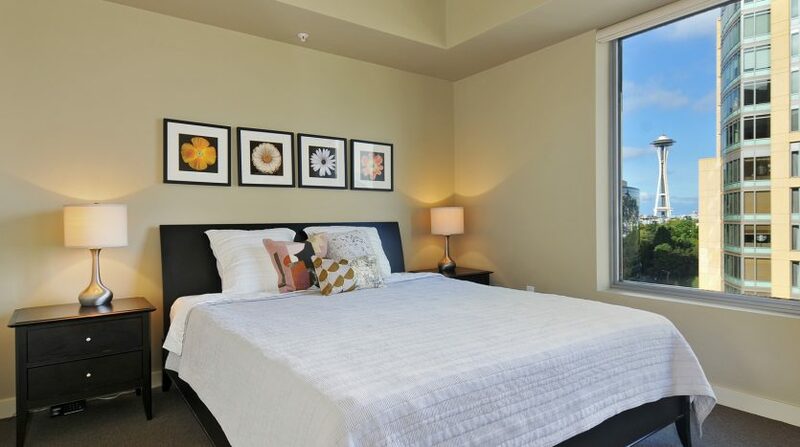 The bedroom is large and boasts a walk-in closet. 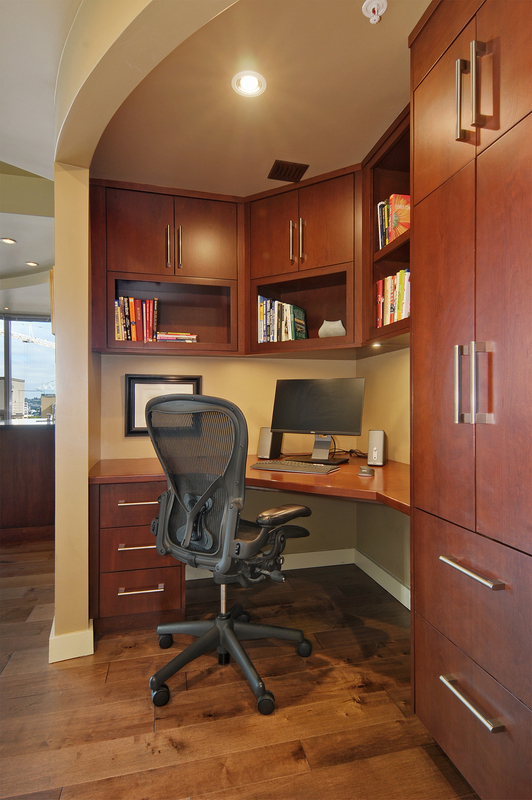 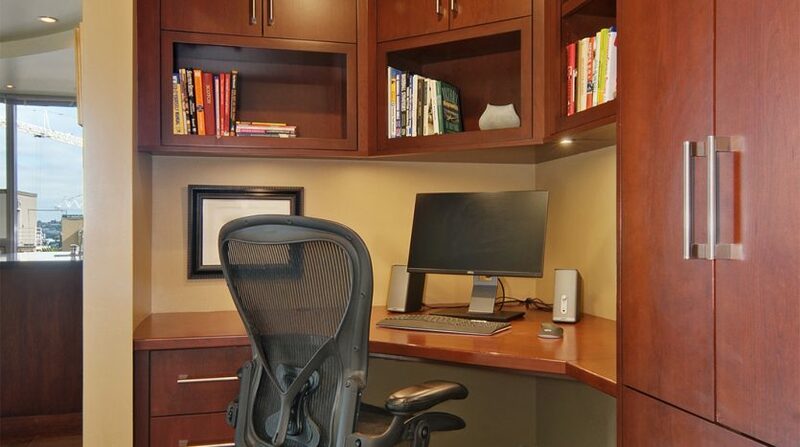 A convenient built-in office space is an amazing bonus. 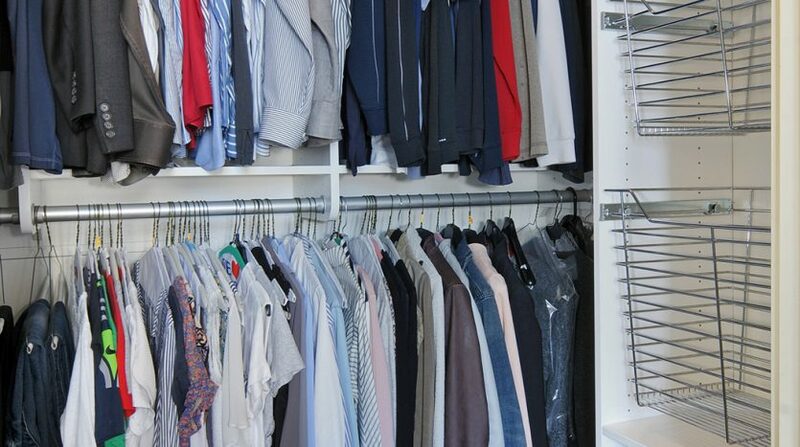 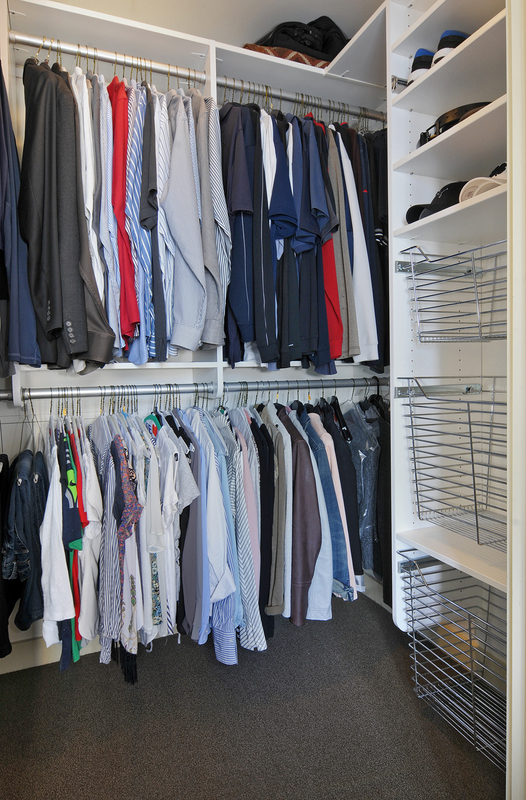 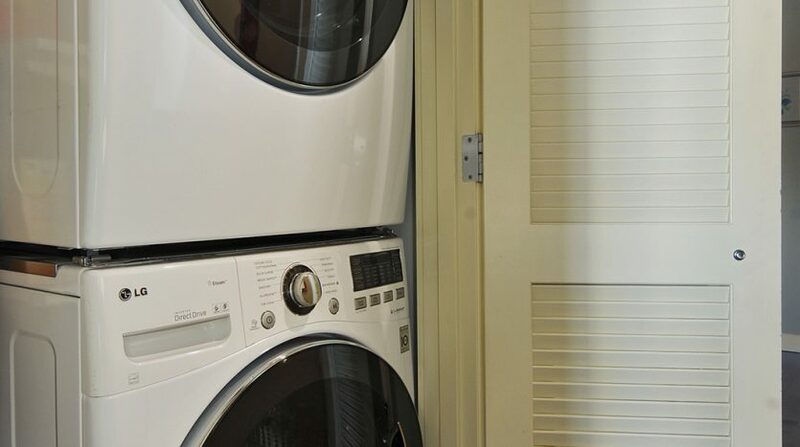 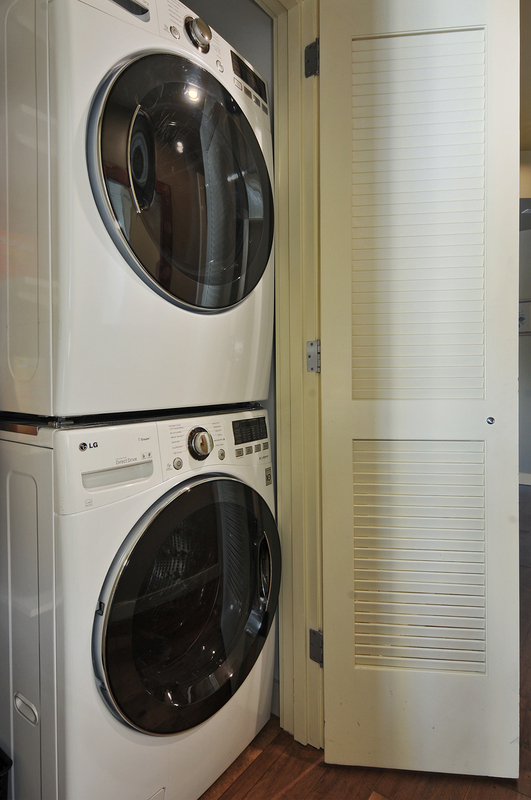 Storage is a breeze in this home with its many closets and custom built-in cabinets plus a storage unit. 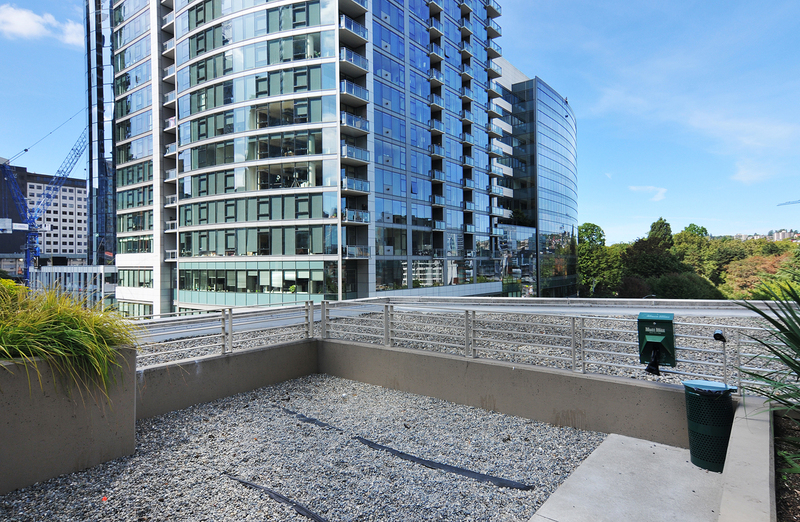 With 1 parking space, you will be all set to live the perfect urban lifestyle. 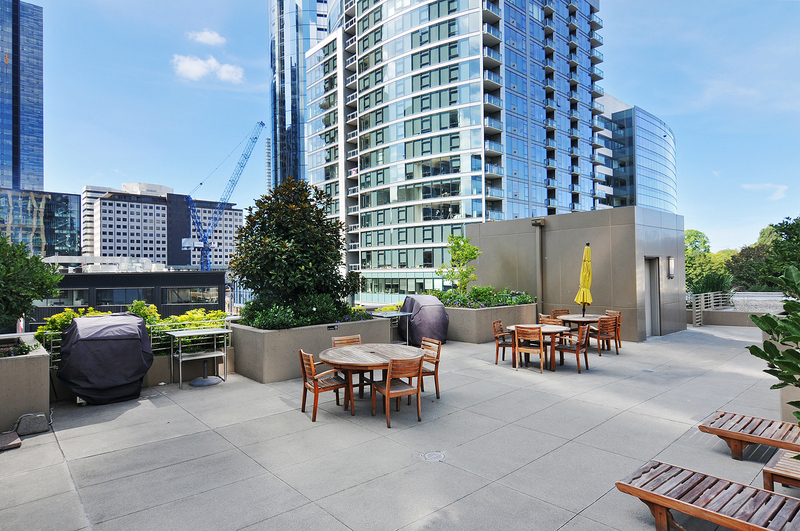 Sits above Whole Foods, salon, yoga studio, FedEx, dry cleaner, restaurant and more!